I grew up in the country side near Bergamo, a northern town in Italy. I’ve always loved animals and I took care of them: horses, dogs, cats, chicken, ducks, goats, fishes, and so on. My grandparents taught me the art of hunting, how to gut a dead animal and how to cook and eat it. They were good farmers and fantastic chefs. My mother studied agriculture and introduced me to the world of plants and gardening. My father was an entrepreneur and had a pest control company. But at that time insects weren’t my passion. I never dreamt of becoming a scientist, a biologist, or an entomologist. I always dreamt of becoming an actress. Therefore I studied languages and theatre in Rome. I began to work and I established my own concept of storytelling through the project Teatro a domicilio. During my life I have travelled a lot. I have visited many countries and seen a variety of different cultures. I moved to Berlin because I enjoy the social diversity of a city. As of last year I act in the documentary theatre play: Bloody-Medium oder Durch in the well known Ballhaus Naunynstrasse. 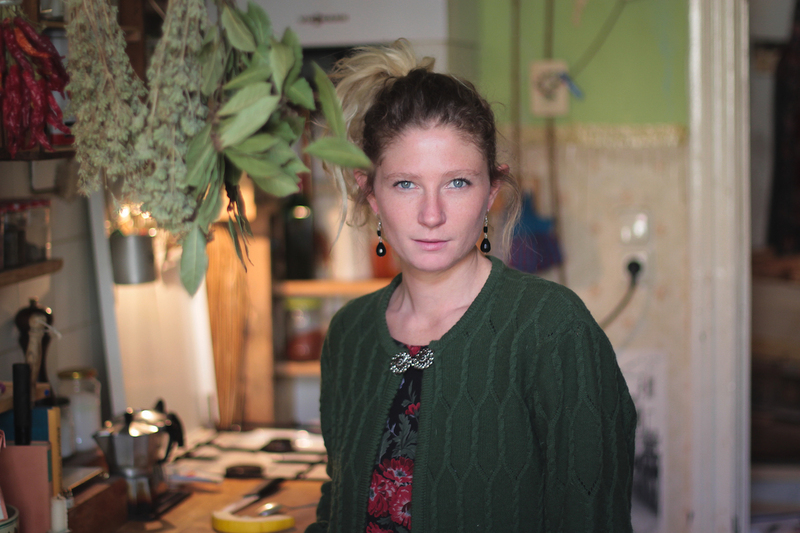 Five migrants and I tell why we came to Berlin and how we got close to culinary interests. I collected different stories working in restaurants. I’ve always fund this job familiar and entertaining. A restaurant is like a theater: real life on a stage, dishes and drinks are the main characters and every night is a show. Experiencing closely other food cultures I developed a consciousness about the food I could find in Berlin. I began to care more and more about what I eat, where it comes from and how it is processed. Food is a delicate and personal decision. I respect every opinion. Besides them, I have mine. I don’t eat everything, but I try everything, then I eat what is tasty to me. For example I don’t eat oysters, some mollusks, some entrails, persimmons….the squishy consistence disturb me, but not the thought of what it is. Our mind plays an important role on our choices. I don’t think I will ever be a vegan or vegetarian. In my perception of nature, plants also have feelings. For me to eat a carrot, a cricket or a chicken doesn’t make any difference. They are all living beings, like me, and I respect them. I evaluate consciously their souls. I’m thankful for their sacrifice. I eat just what my body really needs and I try to waste as little food as possible. 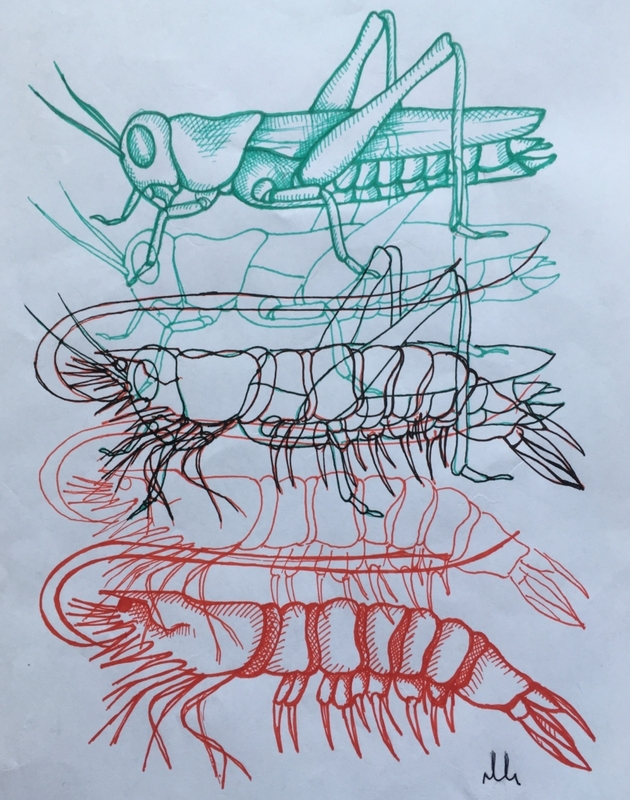 I tried my first insect two years ago as a challenge with a chef I was working with and it has been love at first bite. It was a Grasshopper. Tasty and crunchy! Simply delicious! Not squishy at all! That flavour of dried grass took my memory immediately back home, to my countryside. I saw people eating insects during my travels in Thailand but sincerely I never thought they could be really tasty. My curiosity started to grow and I’ve been learning every day new things about insects and entomophagy. I have visited several summits about edible insects and the future protein sources around the world. Future prospects are negative. I understood that to eat insects is a good step towards sustaining the planet, but in addition, we need to change our way to consume. Behind the food industry there are too many monetary interests. Therefore it’s really difficult to find something really healthy to eat. In my opinion we should try to get in contact with nature and go back to own farming. 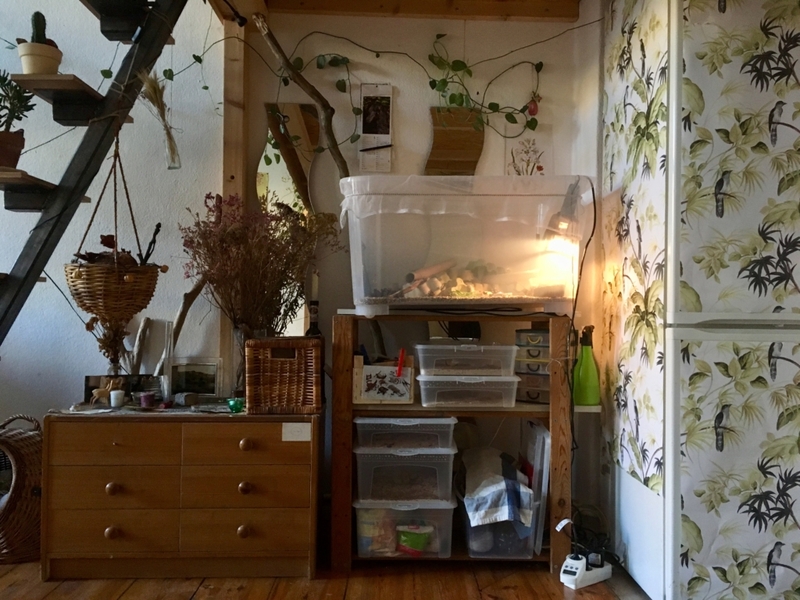 I live in a city, in an apartment without garden, but despite that I see that there are wonderful projects developing in-farming structures and new solutions to grow own food in small spaces, not only vegetables, but animals too. Like insects. I attended a course in Switzerland about bio-insects farming and I have been producing my own proteins at home in 2m² for one year with a reduced consumption of energy and water. It’s unusual, it’s futuristic, it’s far from my grandparents concept of farming…but it is possible. Thanks to the communication skills I developed during my studies, I began to think that the environmental issues could be transmitted in a creative and innovative way. MikroKosmos became in that way a fusion of my past and my current life. 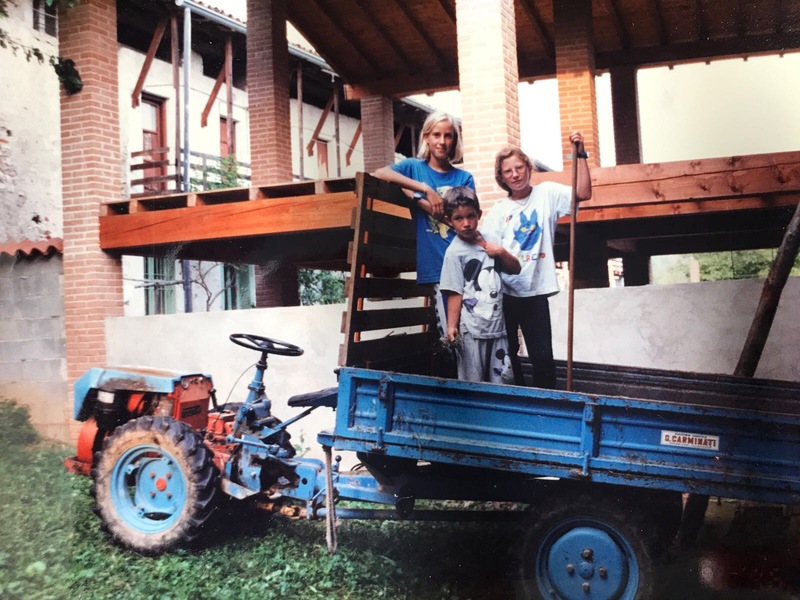 Bringing together my experiences in storytelling, gastronomy and the world of my childhood. Through my activities, events and the blogzine Mikroblog I participate in the current global debate on eating insects. MikroKosmos is more than an online platform. It is my response to global matters; trying to promote new ideas and solutions to sustain life on earth.